SEAT has concluded the first half of 2018 with the brand’s highest ever sales result, the company has announced. From January to June 2018, the carmaker’s global deliveries increased by 17.6% to reach a total volume of 289,900 vehicles (2017: 246,500). This figure represents an increase of more than 43,000 cars compared to the same period in 2017, and breaks the record set in 2000 (278,500). National results for Ireland also show a substantial rise in car sales during the first six months, with SEAT Ireland’s market share up a significant 14.1% when compared to 2017. The total market was down -4.5% in the first half of 2018, but SEAT Ireland’s sales performance increased by 13% giving an impressive 3% market share. 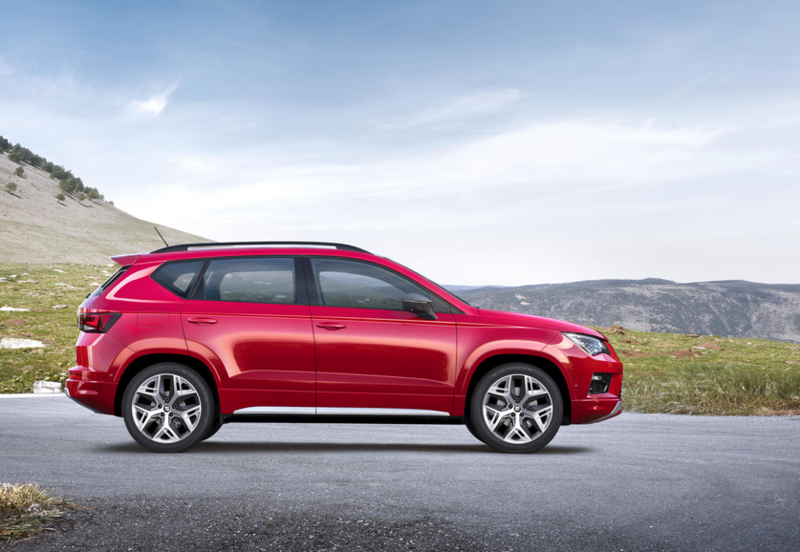 This year’s overall brand success is spearheaded by SEAT’s cutting-edge SUV range: the SEAT Ateca and the SEAT Arona, which account for almost half (48.6%) of total volume sales, year to date. Ateca sales are up by an impressive 10% in comparison to 2017 and account for over a quarter of sales (26.5%) for the first half of 2018. The SEAT Arona, which arrived to Irish shores in November 2017, continues to be a favoured choice for Irish motorists, accounting for 22% of sales during the six-month period. On September 18th, the new large 7-seater Tarraco SUV will be revealed, which will complete SEAT’s SUV range. Tarraco, the Latin name of the city of Tarragona, was chosen by popular vote by over 140,000 enthusiasts who participated in the final phase of the #SEATSeekingName competition. And true to form, SEAT’s new SUV will be presented at the Tarraco Arena in the city of Tarragona. The Tarraco will be joined by the CUPRA Ateca, the first new model of the CUPRA brand. CUPRA, which has always been SEAT’s ultimate expression of sportiness, was created to captivate car enthusiasts around the world. An SUV that signals the start of a new era, the CUPRA Ateca offers versatility like no other brand. Unique, sophisticated and powerful, it is the best example of a model which perfects the balance between sportsmanship, fun at the wheel and ease of use in everyday life.